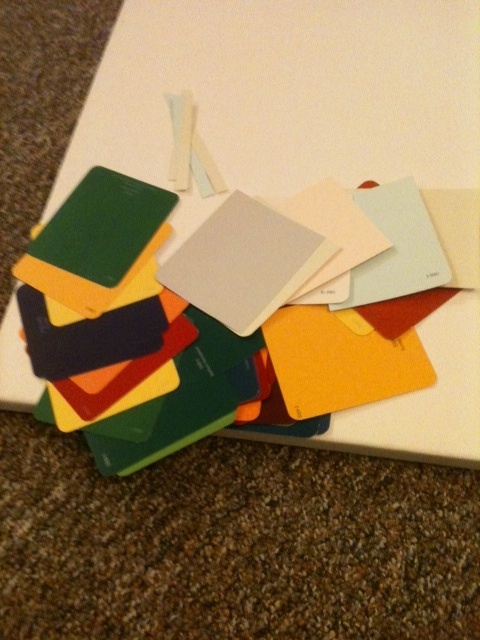 While I was in Erie over break with not much to do, I gained an obsession of paint chips. This is a project that I found on Pinterest, and have been wanting to try for a while. Since I had two extra blank canvases, I decided to go for it while I had the time. 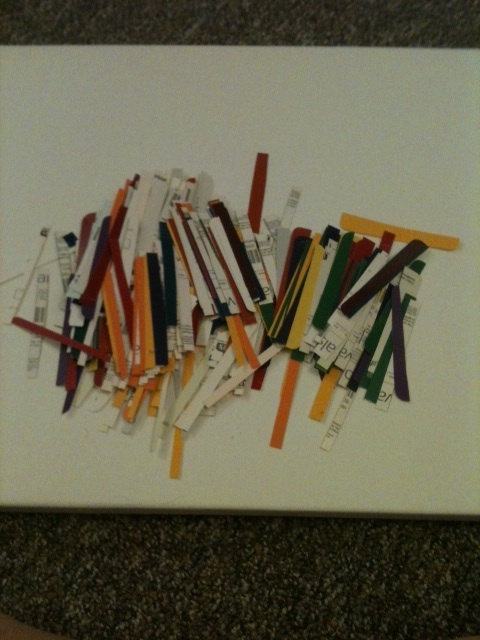 I chose several paint chips in jewel tones and neutrals. I originally wanted it to have a lot of magenta and purple, but it turned out to have mostly yellows. I cut them into strips that were about 1 cm wide. 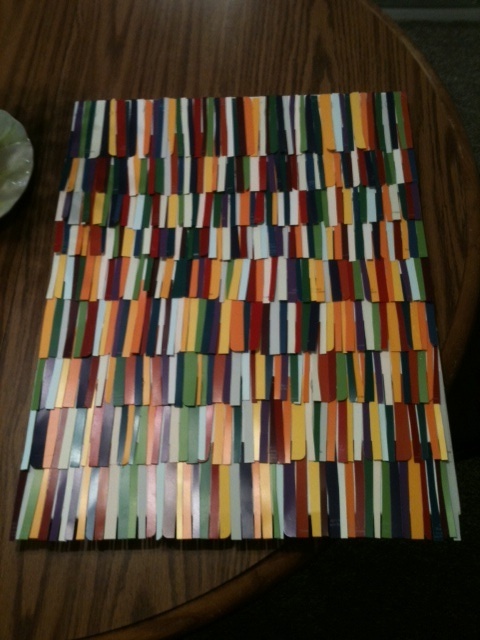 This allowed me to mix the colors up well, and make sure that they were varied appropriately. 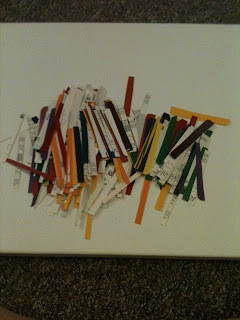 Once the paint chips were cut, I used hot glue to attach them to the canvas. I wanted them to be layered, and create a sort of fringe effect, so I glued them in a straight line, only attaching the tops. This is my final product! I love how it is very abstract, and has so much texture. The spin on color blocking is just a little bit more visually interesting. The best part about this project, is that it was completely free! 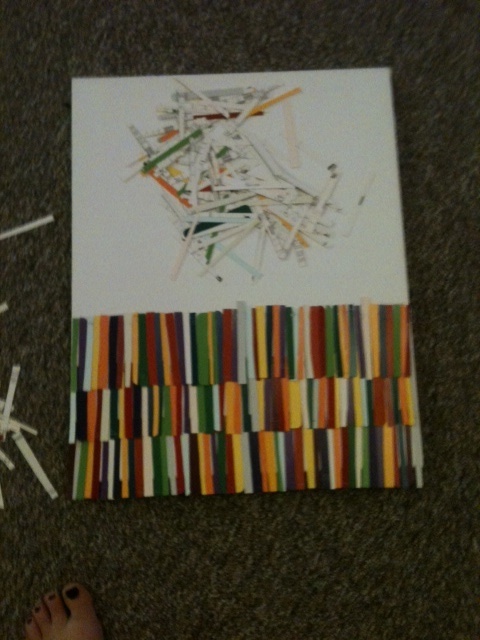 Since I had the canvas already, I only had to get the paint chips from a hardware store.